What’s on your Milwaukee bucket list? Here’s a challenge for you; how many of these fall activities can you complete? And be forewarned, there isn’t a single pumpkin spiced latté on this list. Are you a movie buff? Whether you love documentaries, romance, comedies, or international films, there is something for everyone at this year’s Milwaukee Film Festival. Kick back and relax! 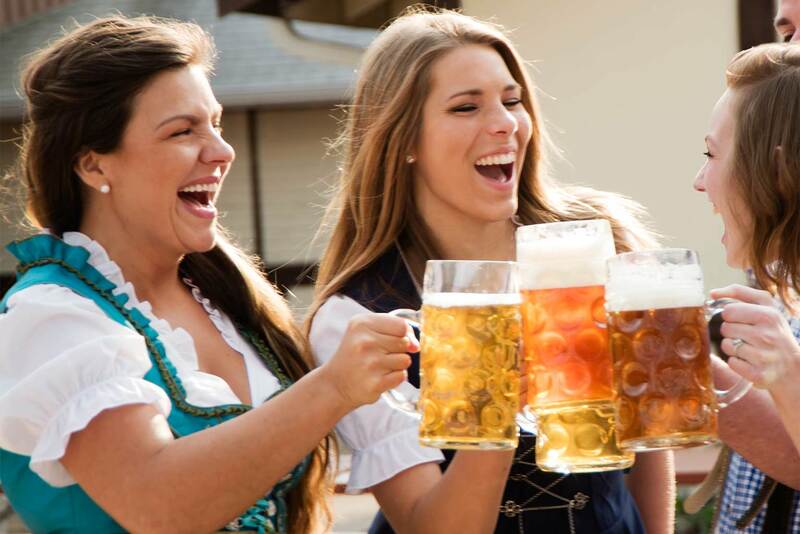 Relish in a brat from Usinger’s, a giant soft pretzel from Milwaukee Pretzel Company, and of course tons of bier at Milwaukee’s own Oktoberfest! Enjoy this free event in its second week on October 6th through October 8th! Just less than a 15-minute walk from The Plaza Hotel. Warm up at East Town Association’s 8th annual Bloody Mary and Chili Contest! Vote on the best chili and Bloody Mary’s in Milwaukee. Make sure to stop by and show Café at the Plaza’s unique Chili and Bloody Mary some love while you’re there! On October 7th, visit the lions, tigers, and bears, (oh my!) at Milwaukee County Zoo’s Family Free Day! Take in a little theater with Guys and Dolls at the Milwaukee Repertory Theatre! This Tony award-winning musical is bound to leave you with your feet tapping and your fingers snapping. Sport your best Milwaukee Bucks gear and watch Milwaukee’s favorite basketball team take home a win. You may even see Bango, the most talked about mascot in the NBA, show off his skills at halftime! Milwaukee Cider and Nano Beer Fest gives attendees access to unlimited cider and nano beer samples, while listening to live music or watching football on the big screen. What could possibly be better than that? Take in the true beauty of fall in Wisconsin at the Schlitz Audubon Nature Center. With over 6 miles of trails, this is a nature lover’s must see! Enjoy the parade, shop local art, and enjoy traditional Milwaukee food at Milwaukee’s Dia De Los Muertos. Watch the Milwaukee community come together to celebrate this unique Mexican tradition. Afraid of the dark? Visit the Wisconsin Fear Grounds where you can explore 4 different haunted houses that each tap into your biggest fears. Don’t worry, we will leave the light on for you. Don’t miss out on these seasonal opportunities…becuase winter will be here before you know it!